I had another fun and eventful weekend. 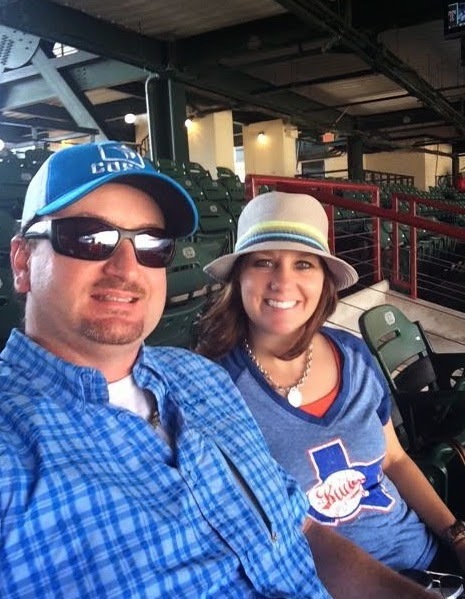 On Saturday, I drove to Frisco and met up with the rest of the family for a 12 hour day of fun! 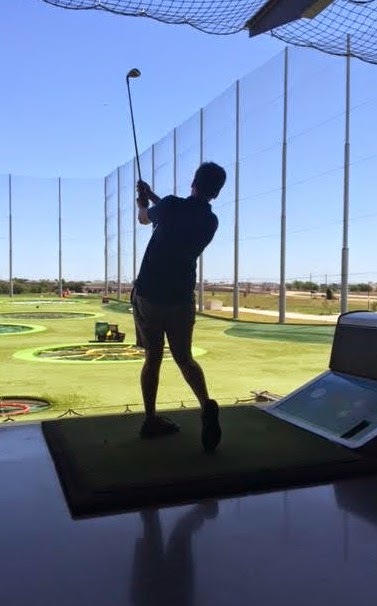 If you haven't ever heard of TopGolf, you need to listen up. It was my first time to experience. A few weeks ago, my daughter told us about it and I just couldn't picture playing golf in a building. I said, "as long as I don't get hurt or hit by a ball I will give it a try." So I did. 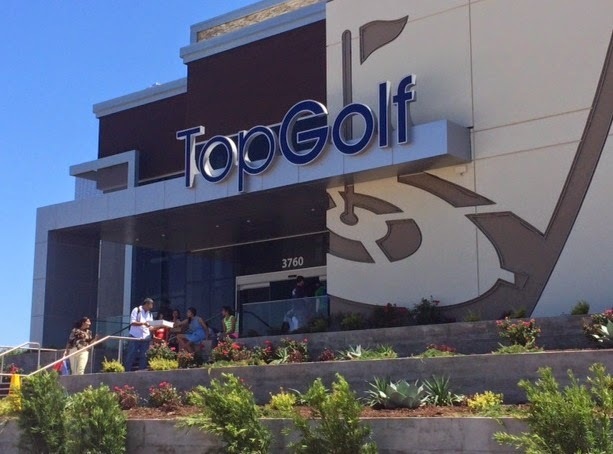 All about TopGolf- you stand inside a 3-tier building that is open in the back. Each group has their own lounge area and waitress. 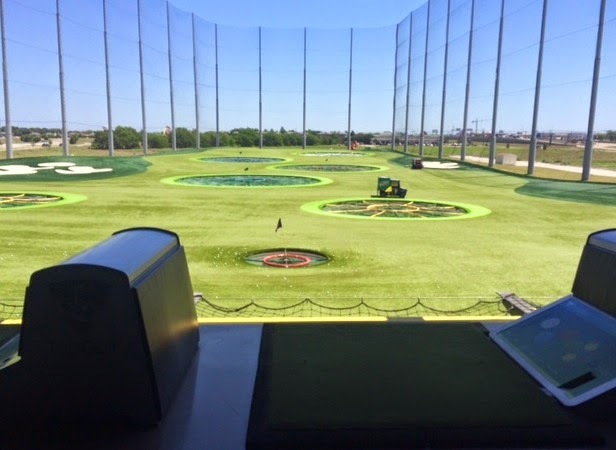 Each player gets to hit golf balls at the targets outside (the big rings). The golf balls have sensors inside them that measure the distance and calculates a score. 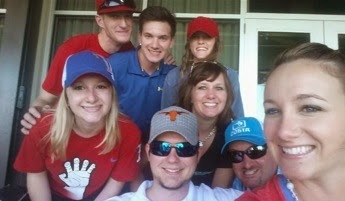 After playing golf, we headed to see The Texas Rangers vs. 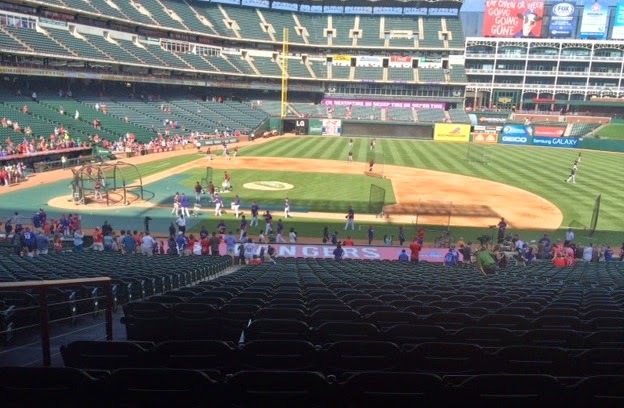 The Boston Red Socks in Arlington. We had great seats behind first base. The Rangers lost but we had fun regardless. I do have to admit I had way too much junk food. Diet started today. I love my family! I hope you had a great Mother's Day. My mother passed away many years ago so the holidays are never easy. My 3 children are all grown up and started their own families so I'm all about cherishing every moment with them.